Music What bands/artists are you listening to nowadays? Discussion in 'General Discussion' started by Trellum, Aug 16, 2013. Hey guys! I'd like to know what artists/bands you are listening to nowadays Right now I'm listening to a lot artists, but I don't have a preferred music genre at the moment. I'm also listening to a lot of different music currently. I'm listening to a lot of artists. My favorite ones are in the Hip Hop genre. I love listening to Drake, Kendrick Lamar, T.I, and Chris Brown. I also like listening to Music from some Rock/Alternative artists such as MGMT, Green Day, and the Skrillex. I love music, its my hobby! If i have to choose just one artist, i'd choose Marina and the Diamonds. And that's my favorite song of her. I first heard her on an NME mixtape in 2010 and this song was on it. I love this song and I Am Not A Robot(but I get that in my head too easily so I don't listen to it). 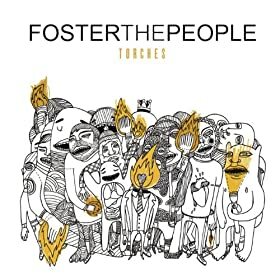 Nowadays it's kinda a mix, from kanye to the weeknd, jay-z, empire of the sun, adventure club, ellie goulding, and a couple more from the old days, but the latest and newest bands that left me amazed were probably, Foster the People and Imagine Dragons, their albums are just top of the line, can listen to them without having the need to skip tracks, that's just awesome. That's cool. Do you now other song of her? I discovered Marina few days ago and since then I'm addicted to her song. I've just looked at my iTunes and I have songs by her called Mowgli's Road and Hermit The Frog. I can't remember ever listening to these though, so no, other than those songs I don't know any others. I am a huge Bruno Mars fan. I think his music is so good and also has a touch of the past so different generations will like him and not just the current young people. And best of yet, he really doesnt cause to much drama and trouble. My mum gets Bruno Mars and Olly Murs mixed up all the time! Personally, I prefer Olly Murs. Late Night Alumni is a band I listen at least once a week. Tammin Sursok is one of my favorite pop singer that I listen to quite often. I tend to stick with the same band and artist because I have noticed the music nowadays isn't as good as it used to be. Hmm, this is a good question actually. I listen to alot of different kinds of music everyday, especially when I'm home, bored, without anything to do. My favorite styles are classic rock, progressive rock and the 80's in general, still, I do listen to some modern music, barely any hits though. I listen to "3 Doors Down", "The Fray", "Evanescense", that's the style I'm more into now-a-days. I listen to ATB, a German artist who produces trance and dance music. He is one of my favorite dance artists. Some of his songs that I really like are Twisted Love, The Autumn Leave, Dedicated, Move On, Still Here, and more. Not necessarily new, but I've gotten into Ryan Adams' music a lot lately. I've become a fan of The Lumineers as well. You can say I have a knack for alternative/country/folk music. 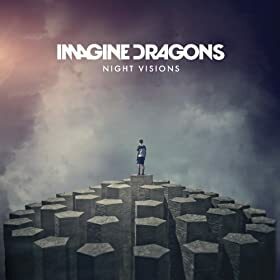 But in the end I always go back to alternative rock, with bands like Imagine Dragons. I think I will forever love Matchbox 20 and One Republic. Their music has the ability to touch my soul and actually create a change in my life. Like the song Little Wonders itself has changed me in so many ways I can't even describe right now. This isn't quite German, is it? I can understand only a few of the words. It's Yiddish! I never even thought to include that in the family of Germanic languages I know of. Derp. It's a cultural dialect that developed from High German. Learned something new and relevant to my major today! Thanks! OH HOW COULD I FORGET?! I've been listening to a lot of lady German musicians lately too, Christina Stürmer, Jennifer Rostock, Juli, Wir Sind Helden. I have a soft spot for Bela and die Aerzte but I'm really more fond of female vocalists Actually you know what I'm just gonna link my deutsches Rockmusik playlist instead of trying to find links for all those. XD Because to be fair everything on there is really good. Sorted through a lot of youtube poop to get 'em.